I've written an open letter to HP CEO Dion Weisler on behalf of the Electronic Frontier Foundation, asking him to make amends for his company's bizarre decision to hide a self-destruct sequence in a printer update that went off earlier this month, breaking them so that they would no longer use third-party ink cartridges. The letter points out that this is bad business -- and it's also bad for security. 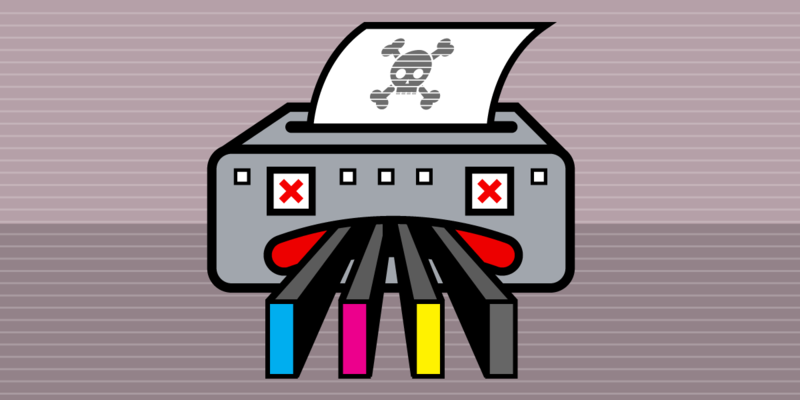 HP printers have previously been shown to be vulnerable to malware that spreads through sneaky codes in documents you print, that can steal your private data, raid your network, and become part of website-killing botnets. HP hid its self-destruct sequence in a software update, making future updates -- like those that patch this kind of defect -- suspect, and decreasing the likelihood that HP's customers will install them. 5. Promise to never invoke Section 1201 of the DMCA against security researchers or competitors who make legitimate aftermarket products.